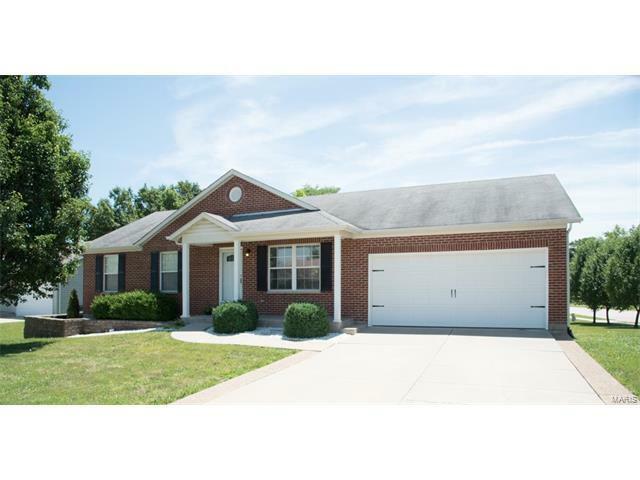 Looking for 3 bed/2 bath in Wentzille? 802 Whisper Creek Court is ready for you. This home features an open floor plan with vaulted ceilings. The home also sits on a corner lot that backs to trees that provides plenty of privacy for enjoying time with friends and family. Additional features are the main floor laundry room and a new roof, new deck, and new driveway and sidewalks. Why 70 to Church exit, Roundabout to Hwy Z, Hwy Z south to (L) Whisper Creek Dr.